From research, we know that 95% of the purchase decisions are made on the subconscious level. Still, the majority of marketing campaigns appeal to our logical, conscious mind responsible for solving complex issues. Traditional marketing efforts appeal to our reasoning as if marketers expect that consumers will adopt the purchase decision based on the chain of logical conclusions. Emotional connections with the product and brand - that's what really matters. Think about the following: you can explain step by step how you arrived at a particular formal conclusion, but can you as easily explain why and how you started feeling a particular emotion or developed a particular attitude towards a product or brand? In the majority of cases, the answer is “No”, as emotions are driven by the unconsciousness and people can’t control its emergence. Let’s see how it can be beneficial for your marketing strategy by answering 3 main questions: What? How? Where? What is an unconscious insight after all? First of all, it’s a source of very valuable information which can be used to improve your marketing strategy. 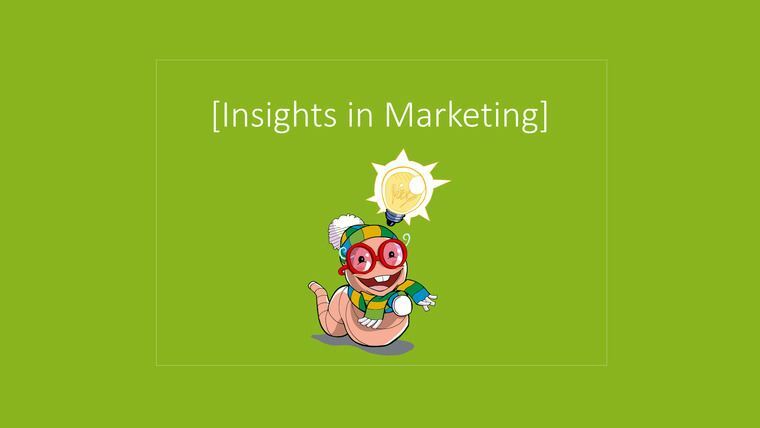 A common wisdom of the marketing world says that customers search value for money and are interested in the characteristics of the product which will allow them to satisfy their needs and blah, blah, blah… But is it always true? Don’t you think that people can choose a product just because of the design, or because they saw a fancy pop star using it? Indeed, very often purchase decisions are based on irrational, subconscious drivers, even if the customer doesn’t understand it. That’s what unconscious insight is – the unprocessed, hidden from the customer’s consciousness reason for adopting a purchase decision. Unconscious insights are very valuable and as any valuable information, they require some efforts to be obtained. The best way to do it is to conduct a research. Neuromarketing tools are most suitable for this purpose, as they allow you to obtain information about the unconscious reactions of the human brain. The data obtained through the EEG, eye-tracking, emotions measurement and implicit priming tests is an effective instrument of cross-checking claimed attitudes of customers to your product and brand with real ones. In a nutshell, this is the most transparent data one can obtain in course of marketing research which can be further used for the improvement of marketing efforts efficiency. Where these insights are applicable? Probably, the best thing about the unconscious insights is that even the smallest ones can be easily measured and analyzed. For instance, you designed a new package for your product. Customer’s feedback is positive, so you decide to launch the production. After several weeks you see that sales of this product (which remained the same, you just changed the packaging) dropped by X percent and the trend tends to remain negative. You’ve already invested a lot of money and time into this design. So, instead of panicking and putting all your efforts to the trash bin you can conduct an eye-tracking test in order to see how customers perceive new shapes and colors and then address just the problematic parts. Thus, such insights can be used particularly for any purposes a marketing effort can be directed at. We hope these short answers provided you with the general understanding of what the unconscious insights are and how they can be used for the improvement of your product and brand perception. The Best Rebrands: How Did They Do It?